If you're looking for a new browser for your Android phone. 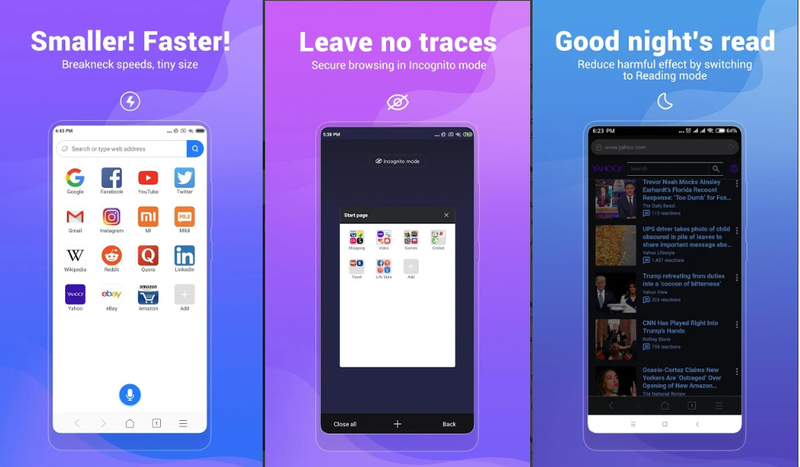 A web browser that would not cover your storage and still runs quickly, you might consider Xiaomi's new Mint Browser. 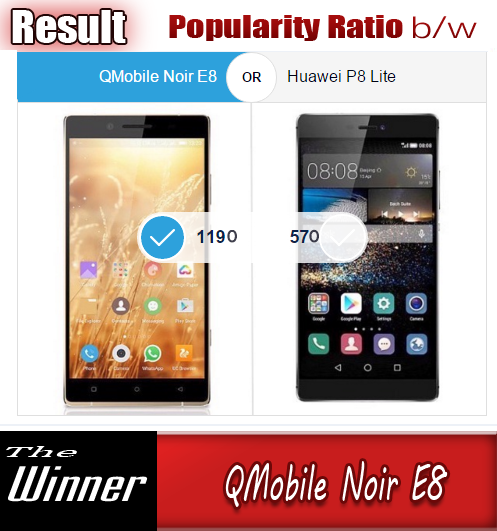 Weighing in at 11MB, you don't need to have a phone with 128GB of storage, or even 32GB of storage to feel comfortable installing the app. And we get why Xiaomi would offer this; after all, many of its own phones are low-end models. To compare, Microsoft Edge for Android weighs in at 76MB. The app is available from the Google Play Store. Although we had trired to find it on the Play Store search but the search result did not list up this app. Although there is another Mint Browser listed in the store. Remember, this one is developed by Xioami, don't install the wrong one. 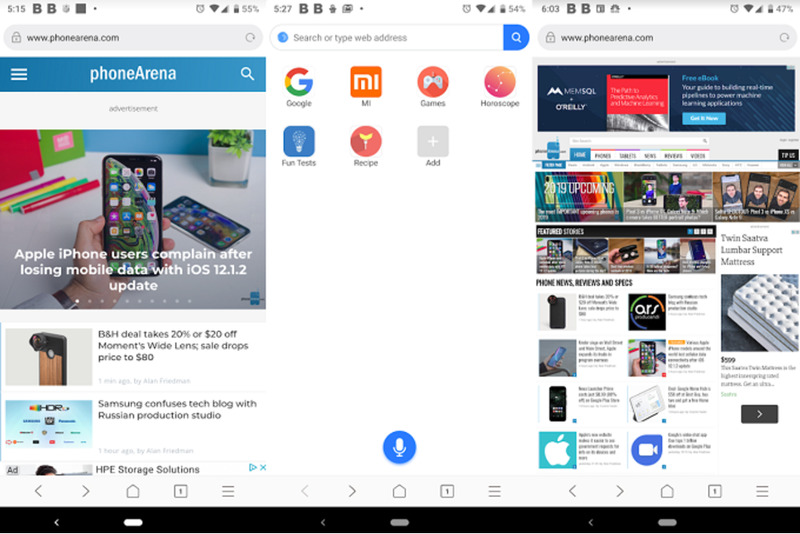 The browser's home page features a Google search bar on top with shortcut icons to Google, Xiaomi's Mi.com website and others. At the bottom is a microphone icon that provides speech recognition for Google search requests. Xiaomi's Mint Browser is fast, matching the speeds of the mobile Chrome and Microsoft Edge browsers. "Pinch and zoom" was smooth as well. If you have a low-to mid range Android handset, or don't have much storage on your phone, you might give Xiaomi's Mint Browser s shot. It does feature Incognito and Reading modes and will allow you to go into settings to request a desktop version of a website. You can also trick the browser into serving you the iPhone or iPad version of a site. To make that change after you've installed the browser, tap the hamburger icon at the bottom right of the screen, go to Settings > Advanced > User agent string. And tapping that same hamburger menu and the moon icon will turn on Dark Mode.